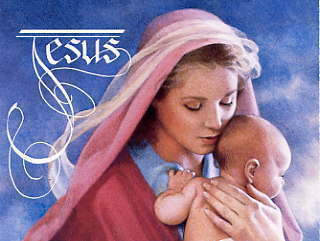 My most beloved son and to all of Our children, this is your Mother of Love and Mercy. 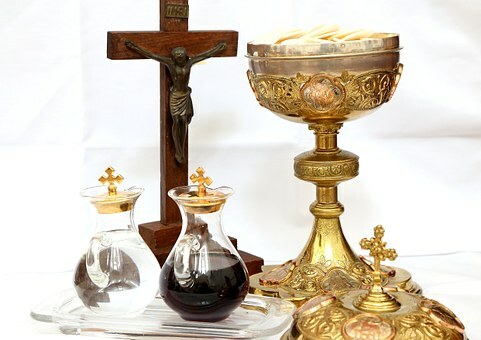 My love and mercy have been given to you and all My remnant children who have asked for it and accepted it. Please use it for My Son and Me to help convert more of Our beloved children. I want to tell you that the picture I gave to you of the Statue of Liberty with Me, Mary, in the background is very important to get out so your country knows God has given His Mother of the Immaculate Conception to guard and protect all of the United States of America and has given Our Lady of Guadalupe to protect Mexico. Your country now has all that it needs to change and turn around except We need more prayers from all of Our children. I need the majority of My children to pray a rosary and chaplet each day instead of just 25%, and your country would become a great leader again. I, your Mother, am talking about the last of this era of time from the birth of My Son, Jesus, two thousand years ago until the coming of the new era of time, the Era of Peace, for one thousand years in the New Jerusalem. My children, this era of time is coming to an end soon because My children have polluted God’s beautiful earth so badly that it is not healthy enough for My children to live in anymore. Your water, your land and trees, skies, oceans, and forests are so polluted that they are making everyone sick. Your oxygen levels are only half what they were years ago. This is why your people do not have any energy and are sick all of the time. You have now turned your natural environment that God created into a chemical environment. Your bodies were not made to live in a chemical environment. They were made to live on natural herbs from your land, not chemicals that satan and his followers put together to kill all of My children a little at a time. Satan’s fallen angels brought all of these sins and pollution down on mankind to destroy all of God’s children. Because of all the sins of mankind, he received the power to do so. Satan is powerless without man. Your time as you know it is quickly running out. My God is about to clean up the whole earth and re-purify it like it was when Adam and Eve lived in the Garden of Eden. I have given you a new leader in the United States to start to get My children ready for the New Jerusalem. With your prayers and Heaven’s grace, you received a new leader but he will only be able to do his job with the majority of My children praying for the new President and new Vice President and also for the Pope of the One Holy, Catholic and Apostolic Church. I have given you a second chance to clean up the world but it will take all the people of My world to pray and fast to get the job done. The Warning talked about in Revelations is at your doorstep so pray and fast and treat your God and neighbors with honesty and love. Your time has run out but My God has extended it to save more souls so they can enter into the New Era of Peace. Love, the Mother of God with the Holy Trinity, and all of Heaven with Me. Love, love, and more love. Amen. Synopsis: A good conscience is one which keeps the Commandments and lives in Holy Love. If you have only taken the first dose of the medical or chemical abortion, you may be able to reverse the effects of the abortion pill. Abortion reversal is possible for some women who have begun an abortion. 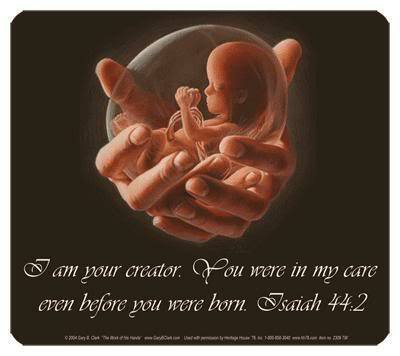 Doctors have saved nearly 300 babies with abortion reversal. by calling the 24-hour, nurse-staffed hotline at 1-877-558-0333. ** The Holy and Divine Love Messages of Maranatha Spring and Shrine. 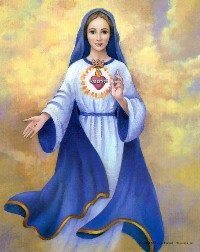 I (Maureen) see a Great Flame that I have come to know as the Heart of God the Father. As He speaks, the Flame pulsates. Perhaps we should read the Book of Truth to find out what happens next…? My dearly beloved daughter, Satan is in a rage against My Church on earth and his infestation continues to spread within its walls. The cunning imposter, who has lain in waiting in the wings, patiently, will soon declare his reign over My poor unsuspecting sacred servants. The pain he will inflict is too hard for Me to bear, and yet, his reign will culminate in the final purging of evil from within the core of My Church. He has carefully manipulated his position and soon his pompous demeanor will be seen amidst his splendid court. His pride, arrogance and self-obsession will be carefully hidden from the world in the beginning. To the outside world, a sigh of relief will be heard as the trumpets peal out to announce his term as head of My Church. My Body is My Church, but it will not be to Me, Jesus Christ, he will pledge his loyalty, for he does not possess any love for Me. His loyalty is to the beast and how he will laugh and sneer at My sacred servants who will support him. He who dares to sit in My Temple, and who has been sent by the evil one, cannot speak the truth, for he does not come from Me. He has been sent to dismantle My Church and tear it up into little pieces before he will spit it out from his vile mouth. My Body is My Church. My Church is still alive but only those who speak the Truth and adhere to the Holy Word of God can be part of My Church on earth. Now that the final insult is to be manifested against Me, Jesus Christ, through the Chair of Peter, you will finally understand the Truth. The Book of Truth, foretold to Daniel, for the time of the end, will not be taken lightly by members of My Church, for its content will sicken My beloved sacred servants when they realise that I speak the Truth. The false prophet – he who poses as the leader of My Church – is ready to wear the robes, which were not made for him. He will desecrate My Holy Eucharist and will divide My Church in half and then by half again. He will make efforts to dismiss those loyal followers of My beloved Holy Vicar Pope Benedict XVI, appointed by Me. He will root out all those who are loyal to My Teachings and throw them to the wolves. His actions won’t become apparent immediately, but soon the signs will be seen as he sets out to seek the support of influential world leaders and those in high places. When the abomination takes root the changes will be sudden. Announcements by him to create a united Catholic Church by linking up with all faiths and other religions will come soon after. He will head up the new one-world religion and will reign over pagan religions. He will embrace atheism by waivering the stigma he will say is attached in the pursuit of so-called human rights. All sins, in the Eyes of God, will be deemed acceptable by this new inclusive-Church. Any one who dares to challenge him will be sought out and punished. Those priests, bishops and cardinals who oppose him will be excommunicated and stripped of their titles. Others will be bullied and persecuted with many priests having to go into hiding. To those poor sacred servants of Mine who recognise My Voice now, please hear Me as I reach out to you to bring you comfort. I would never ask you to reject My Church on earth for it was I, your beloved Saviour, who created it. I offered My Body up as the Living Sacrifice to save you. You have been given the responsibility to testify on My behalf in order to save the souls of those whom you instruct and guide. All you can do is trust in Me and continue to serve Me. What you must not do is to accept any doctrine presented to you and which you will know, instantly, is not in accordance with My Teachings. You must do what your heart tells you, but know this. This period is going to cause you deep pain and the raw grief you will experience when you see how My Church will be desecrated will leave you weeping. 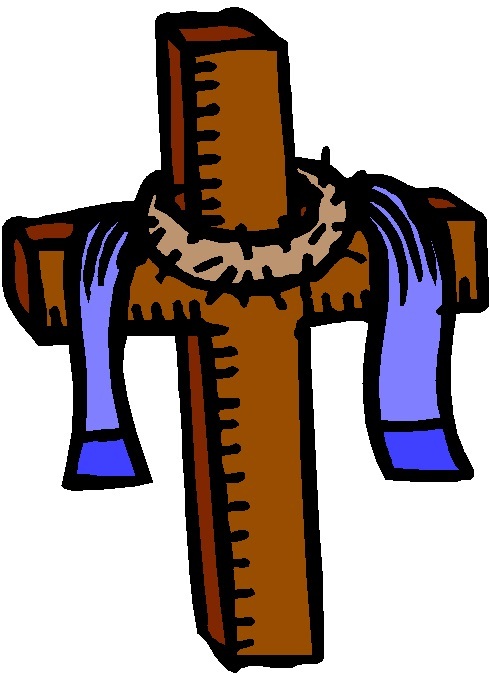 But you must recognize the lies which are to be presented to you for what they are – an affront to My death on the Cross. This destruction may result in the collapse of the structure of My Church. The changes and adaptations of buildings along with the new temple created for the one world church will be crafted and placed in Rome. Be assured that, just as My Temple is desecrated, that I, Jesus Christ, the Saviour of all mankind, will be discarded and thrown into the gutter. Synopsis: Warning not to be deceived by false teachers who follow human ways rather than the Tradition of Faith. All believers share in the fullness of Christ, Who is the head of all principalities and powers. * -Scripture verses asked to be read by Blessed Mother. My dearly beloved daughter, Satan is the king of lies, the master of deceit and he roams the earth freely devouring souls every second. His power is fuelled by the fact that most people do not believe he exists. He has taken over the hearts and souls of many and this is how he works. He tells lies to those he infests, to encourage them to sin. He will convince the soul that sin is harmless and that it is acceptable to commit every sin, which are especially associated with him. These sins include justifying every wicked act of the flesh including sexual promiscuity; immorality; debauchery and decadence. When the human body is used as a vehicle to commit such acts, which are shameful in God’s Eyes, you will know that this is a sign of satanic influence. When the evil one influences the souls of those charged with the spiritual direction of souls, in My Church, to encourage the acceptance of sin, he does this in a cunning way. You will be admonished for judging the sinner but not one word will be uttered to condemn the sin, in God’s Eyes. When Satan wants to destroy love he will do this by causing discord in relationships; he will create hatred in the hearts of man by filling his head with lies, which encourages man to fight with one another through conflict and war. He will tempt man, through the influence of other souls, who have already succumbed to his temptations. Lies, blasphemies and hatred are the means by which Satan works to spread his infestation. He lulls souls into a false security when one man tells another that sin is not against the Laws of God, because it is a natural thing. God’s children, therefore, become very confused because the laws laid down by Him have been uprooted and people are undecided as to which way they should turn. You have only one choice. Read the most Holy Bible and be reminded of the Truth. It is there for you to read in black and white. If you accept the Truth contained in My Father’s Holy Book, and believe that he dictated to Moses, His Ten Commandments, then you must never accept any other doctrine. God would never dictate any other doctrine because He gave the world His Word. Nothing within it can be changed. The man who dares to change it, to suit the lives of sinners, will be guilty of a terrible sin and will suffer for this affront of the Holy Spirit. My dearly beloved daughter, the greatest betrayal of My beloved, loyal disciples – those who will always hold firm to the Truth – will be by those followers in My Church who will fall prey to the great deceit. So many people, because of their misguided loyalty, will be deceived by the imposter who will seize the reins in My Churches everywhere. Though they may feel uneasy at times, when they hear strange renditions of My Holy Word, which will not be taken in the correct context, they will follow like lambs to the slaughter, the road to destruction. They will lavish praise upon the false prophet and salute him like a great dictator and they will become as one to create a large army. This army will cause the greatest persecution upon their fellow Christians. Brother will fight brother in this terrible battle for the Truth. The number of those who will follow the unholy trinity, comprised of the false prophet, the antichrist and Satan, will be much greater than those who remain true to the Holy Word of God as it was laid down from the beginning. You, My chosen people, who do not deviate from the Truth, will find this journey difficult. Never, for one moment in your lives, would you have imagined the terrible deceit, which you are about to witness. My enemies are well-prepared, have much influence and are well funded. They have many advantages, but they have not got, on their side, the Power of God. Not only do they not possess the Power of God, My Father, the Almighty One, but they can be struck down at any time by His Will. Sadly, they will draw many souls away from Me and I will allow this as part of the final purification of mankind. This period on Earth will be to separate the good from the wicked. What do I mean by this? Surely, you will say, the good will be fooled and that this is not their fault. This is true. But, when those who say they are true Christians, accept heresy, instead of My Holy Word, they blaspheme against Me. They are well-aware of the Truth and they must be alert to My Word every second. So many of you are asleep. So many do not truly know Me, because you have no humility in your soul, so proud are you of your knowledge of Holy Scripture. Many of you have failed to read the Gospels or understand what will happen before My Second Coming. You still do not know, yet, that the Truth was given to you, in the Most Holy Bible. Why do you continue to defy the Word of God, argue, reject and fight against the Hand which created you? You are no more informed than those who crucified Me. You have no more knowledge than the Pharisees who believed that their interpretation of the Holy Word of God was superior to that of the Son of man. Because of your refusal to accept the final prophecies, you will deny Me. All your services to Me will mean nothing, for you will follow the one sent by Satan to deny you your rightful inheritance in My Paradise. How you make Me weep. How you will betray Me will be reflected in the persecution which you will bring to bear on those you call your brothers and sisters, in My Name. You will become indoctrinated with lies, as others before you were, by wicked leaders and dictators of the past. Because of your lack of real love for Me, which requires great sacrifice, you will bring Me much grief and suffering. While the enemies of My Church will draw you into a web of deceit, you will sing their praises, adore and love those who hate Me and I will be forgotten. Remember these Words. When you place false gods before Me, you will incur the Wrath of God. My dearly beloved daughter, the conscience of a man is like a mirror to his soul. What the conscience feels, responds to, and believes in, is reflected in his soul. This means that if your conscience alerts to you something that you know, in your heart, is wrong in the Eyes of God then you must listen to it. If your conscience leads you to defend the Word of God, when you are presented with evil, you must respond to it, as you know you must. If you accept evil, when your conscience guides you otherwise, then you are disloyal to the Word of God. You must, if you call yourself a Christian, allow your conscience to guide you. In the Christian soul who is blessed with the Gift of the Holy Spirit, the conscience will be fully alert to the deceit of the devil in all its forms. If you deny your conscience then you deny God. When you deny God you deny your own inheritance. Never make excuses for accepting anything, which you know does not come from Me, because if your conscience instructs you one way and you take the opposite direction then you have failed to take up My Cup. What do I mean by My Cup? When you are a Christian you will always come up against My enemies. Christians are despised by those who do not come from Me. There may be times when you do not suffer any prejudices but there will always come a time when you will be challenged in My Name. When that day comes, will you forsake Me by denying My Holy Word? How strong is your faith or your love for Me? It is only when faced with great adversity that you will know how far you are prepared to go to refuse to accept a wrong for what is right. Those strong enough who refuse to accept anything that denies the dogma, laid down in the Holy Bible, will take up My Cup. The Cup represents My Blood and the Chalice, which contains it. The Cup represents the suffering that, inevitably, comes about when you march with great confidence to uphold the Word of God. If God stated as fact His Laws, through His Word contained in the Holy Bible then you can never accept anything, which goes against them. To denounce dogma in My Name is to disown Me. The day will come when My Church on earth will deny the dogma, which is carved in stone, in exchange for the doctrine of darkness. If you accept this deceit, although your conscience tells you otherwise, then you are guilty of heresy. Once you do this you cannot call yourself a Christian or a disciple of Mine, for I will disown you if you do. My dearly beloved daughter it is important that all of God’s children understand why I died to save the world from eternal damnation. Satan has reigned in the hearts of mankind since the fall of Adam and Eve, and this has meant that he has successfully stolen souls. Most of humanity would not accept the word of God especially the Commandments given to them by Moses. I was then sent to ensure that humanity was given the truth in the hope that the world would accept this and turn back to the Father. While many did accept My Most Holy Word the majority refused to accept Me as being the Messiah. The truth is that they would not have accepted anyone, including the prophets because they were content to live in sin which entrapped their souls. If they had accepted Me I would have reigned on earth and the whole of humanity could have enjoyed eternal salvation. The Jews, My own people, despised Me. The Pharisees looked down on Me yet when they heard My Holy Word they could not simply ignore Me. This is because My words sparked a light in their souls which they found hard to dismiss. So they kept coming back to Me again and again to question Me. Today the same is true. Those of you who claim to deny My word spoken through My prophet, cannot simply walk away. Despite your claims of rejection you keep coming back again and again. In time you will accept My word spoken to you today. You must not make the same mistake made by those who not only rejected Me but who crucified Me. I beg you. Do not crucify Me again. Allow Me to lead you to salvation by listening to Me now, as I call on you from the heavens, to prepare you for salvation and My New Paradise.